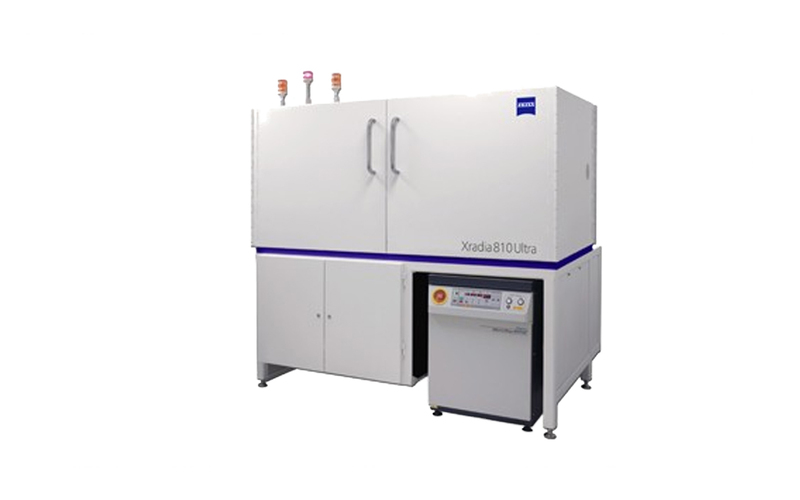 Achieve spatial resolution down to 50 nm with ZEISS Xradia 810 Ultra X-ray microscope, the highest among lab-based X-ray imaging systems. Experience unparalleled performance and flexibility with the non-destructive 3D imaging that plays a vital role in today’s breakthrough research. The innovative Xradia Ultra architecture, with unique X-ray optics adapted from synchrotron technology, features absorption and phase contrast. Now with energy at 5.4 keV you can increase the throughput of your nanoscale imaging by up to a factor of 10. Achieve even better contrast and image quality for medium to low Z samples with the lower energy of Xradia 810 Ultra. Expect to accomplish advanced in situ and 4D capabilities for studying structural evolution over time and under varying conditions. Extend the limits of exploration with 3D X-ray imaging for materials research, life sciences, natural resources, and diverse industrial applications.